Manchester United have tabled a £32.5m offer for Roma defender Kostas Manolas after their failure in pursuit of Benfica star Victor Lindelof, according to a report from the Sun. Defensive reinforcements perhaps will be one of the topmost priorities for Jose Mourinho this month, given his strong interest to bring in Lindelof. However, with no real progress despite continuous negotiations, it is believed that United have now gone back to Serie A defender Manolas, having previously chased him last summer. Back in the summer, Roma had no intention to do business, as Manolas is regarded as a key part of their future, but with a new big-money offer in place, it remains to be seen if their resolve can be tested. As per the several reports over the past few weeks, Marcos Rojo and Phil Jones seem to have forced Mourinho to rethink as to whether or not he really required another defender in January. With Eric Bailly one of the first names on Manchester United team sheet, he will be badly missed during the course of the Africa Cup of Nations, and if any of Rojo, Jones, or Chris Smalling sustain an injury, it would make the Red Devils defence week as they continue their fight on various fronts. 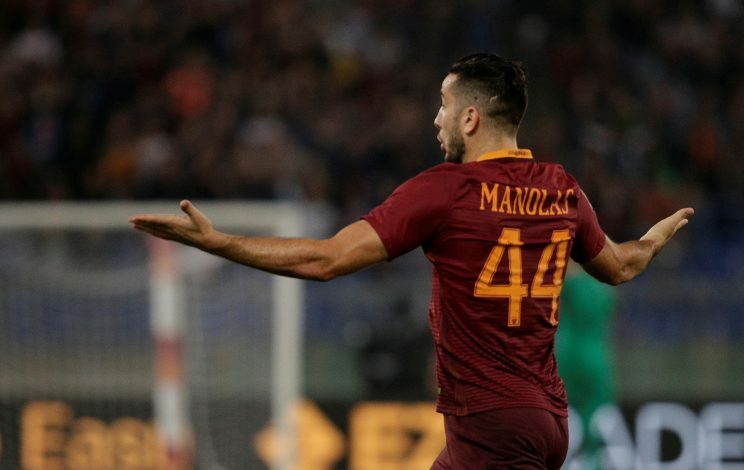 As for Manolas, the Greek defender has proven his worth since arriving in Rome in 2014, and has proved himself as one of the elite class of centre-halves in Europe, with his playing nature well suited to the Premier League as well, due to his strength, aerial ability and speed. With the move for Lindelof losing momentum, Roma could now be waiting for a phone call as they hope to avoid losing one of their key assets in the January transfer window.